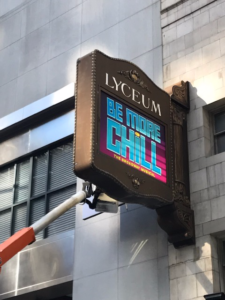 Be More Chill got their Broadway Marquee today signaling their new home on Broadway. 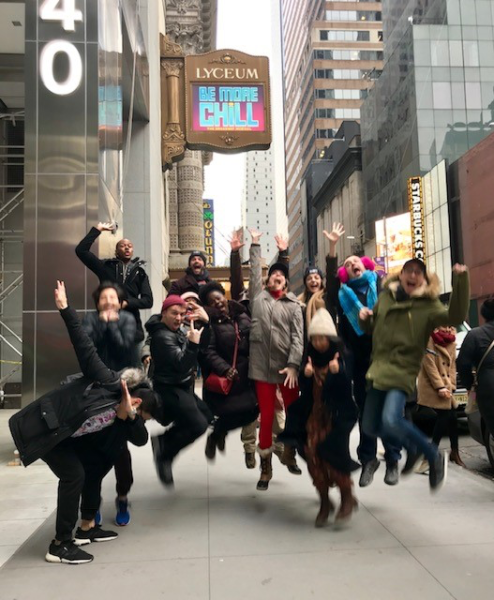 The tuneful musical will begin previews at Broadway’s Lyceum Theatre on Wednesday, Feb. 13, with an official opening set for Sunday, March 10. The musical played a sold-out limited engagement this past summer at Off Broadway’s Pershing Square Signature Center. Will Roland as Jeremy, George Salazar as Michael, Stephanie Hsu as Christine, Jason Tam as The Squip, and Gerard Canonico, Katlyn Carlson, Tiffany Mann, Lauren Marcus, Britton Smith and Jason SweetTooth Williams.